January 5, 2011 - Luis Armando Peña Soltren was sentenced on Tuesday to 15 years in prison for his participation in the November 24, 1968, hijacking of Puerto Rico bound Pan American flight 281 to Havana, Cuba. After almost 41 years as a fugitive, Peña Soltren, 67, a U.S. citizen, voluntarily returned to the United States in October 2009 and surrendered to federal authorities. Peña Soltren pled guilty in March before U.S. District Judge Alvin K. Hellerstein. Manhattan U.S. Attorney Preet Bharara said: "Today’s sentence of Luis Armando Pena Soltren for the violent hijacking in which he participated more than four decades ago should send a strong message that we will vindicate the interests of justice no matter how long it takes. This was a heinous crime and the punishment is appropriate. It is another example of our commitment to working with our partners at the Federal Bureau of Investigation, the Department of Justice's Office of International Affairs, and the Department of State Bureau of Diplomatic Security, to bring criminals to justice wherever they may seek refuge and regardless of the passage of time." According to the Complaint and Indictment previously filed in Manhattan federal court and the guilty plea proceeding on November 24, 1968, Peña Soltren, along with coconspirators Jose Rafael Rios Cruz and Miguel Castro, boarded Pan American flight 281 bound for San Juan, Puerto Rico. After the airplane took flight, the defendants, wielding pistols and knives, forced their way into the cabin of the airplane and ordered the crew to land in Havana, Cuba. 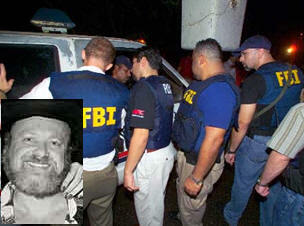 Cruz, 69, was apprehended in 1975 and Castro, 80, was apprehended in 1976. Both ultimately pled guilty to threatening the lives of flight crew members. Cruz and Castro were sentenced to 15 years in prison and 12 years in prison, respectively, for their roles in the Pan American flight 281 hijacking. Alejandro Figueroa, who was charged as a co-conspirator in the case, was acquitted in 1969 after a bench-trial before U.S. District Judge Edward Weinfeld. Peña Soltren pled guilty on March 18, 2010, to the following charges: (1) conspiracy to commit air piracy, to interfere with flight crew members, and to kidnap; (2) interfering with flight crew members; and (3) kidnapping. During the sentencing proceeding, U.S. District Judge Alvin K. Hellerstein described PEÑA Soltren's actions as "considerably more serious" than those of his co-conspirators. This case was the result of the coordinated efforts of the U.S. Attorney's Office for the Southern District of New York, the Federal Bureau of Investigation, the U.S. Department of State, and the U.S. Department of Justice's Office of International Affairs. Mr. Bharara thanked them for their outstanding work.